In 1986, God began to reveal to the world another phase in His plan to spread the gospel throughout all the world. God began to share His plan for the calling upon the life of a young man named James Bradford. The son of an apostolic pastor from Mississippi, who grew up knowing the way the word and the world. This young man was currently serving in the U.S. Air Force but not realizing that his life and service was about to take a lifelong change. Brother James was brought up in the old school church. Brought us in the Word, respecting of elders and love for one another and being an active participant in ministry. He taught classes to the youth, sang and directed in choirs and even played the drums a little bit. Although he was ready to give up on God, God was not ready to give up on him. It was at that time, he heard God the clearest. It was at that time, he began to listen as God poured into him and strengthen him. He sent him a help meet. Although he had been married before, God sent him what he needed and what God had prepared. Married in 2003 to Wendy R. Marshall, as part of God’s master plan he called them to found, Living Word Love Fellowship Ministries. God gave Pastor James a vision that matched his passion to help people. Through this vision, God showed him that he had called him to start a branch of Zion that would have a heart for the people and love for the father. In May of 2005, God spoke to Elder James R. Bradford and said, it’s your turn. My turn, he replied, your turn to lead, develop and shepherd a branch of Zion. He shared what God had told him with his wife Wendy and she was on board and ready to move to the next level of obedience. From the basement to the conference room. From the conference room to renting this space. From renting to buying and from buying to expanding, Pastor and First Lady have always said “Yes Lord” and not “But Lord”. We are here today because of God’s word, servant’s obedience and God’s plan. This is why God is worthy of all praise. The mission of Living Word Love Fellowship is to love God, to love others, and to magnify the name of Jesus Christ. The vision of our church is to glorify our God and Savior, Jesus Christ, to make true disciples throughout all the nations by means of missionary activity and support, to minister the ordinances, to edify believers, and to do all that is sovereignly possible and biblically permissible to magnify the name of Jesus. the revelation and application of His living word. Our leadership team recognizes the authority of God and realizes that we are shepherds who serve under the Chief Shepherd, Jesus Christ. We desire to devote ourselves to prayer and to the ministry of the Word. Our passion and goal are to equip the believers for the work of the ministry until we all attain maturity in the fullness of Christ. 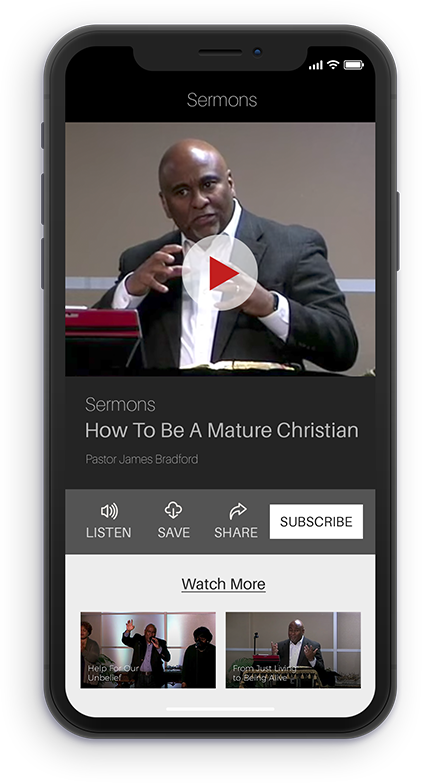 As the primary teaching pastor, Pastor James has a passion for carefully unpacking the truths of Scripture. He is the founder and Sr. Pastor. He and his wife have four children. James is passionate about souls and has a heart for the poor. A pastor establishes relationships with the members of his congregation. He knows his sheep and loves them. In 1 Corinthians 13, the apostle Paul stressed the superiority of love over all other spiritual gifts. A pastor ensures unity in the church. In 1 Corinthians 1:10, the apostle Paul practiced his leadership role of uniting the believers by exhorting them to agree with one another and to avoid divisions. Wendy’s main responsibility is teaching the women and welcoming our new members by teaching our new Members class. Wendy leads the other females in the congregation by example. As first lady, she acts according to God’s word and portrays this behavior in order for other females to emulate. Challenging the female to improve their own spirituality as well as behavior toward others is a duty of the first lady. The first lady of the church is responsible for teaching the ladies of the congregation all aspects of church life and conduct. This includes teaching classes in marriage, conduct of a single woman, spirituality of a woman in the church and other areas of interest to the females of the congregation. Click the "Get Involved" button to learn all the ways that you can become a part of our ministry.